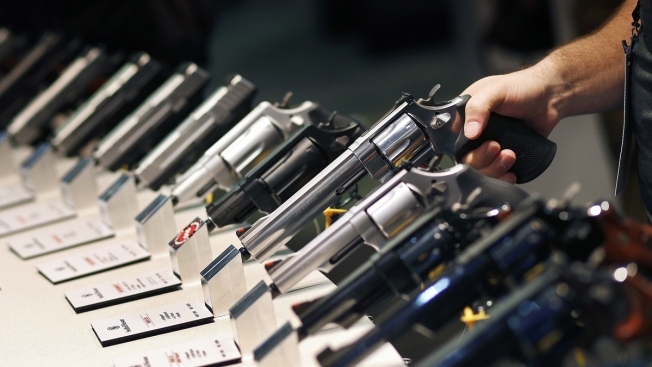 In this Jan. 19, 2016, file photo, handguns are displayed at a trade show in Las Vegas. A new study by the Small Arms Survey released Monday, June 18, 2018, of small arms estimates there are over 1 billion legal and illicit firearms in the world today, including 857 million in civilian hands — with American men and women the dominant owners. There are over 1 billion firearms in the world today, including 857 million in civilian hands — with American men and women the dominant owners, according to a study released Monday.